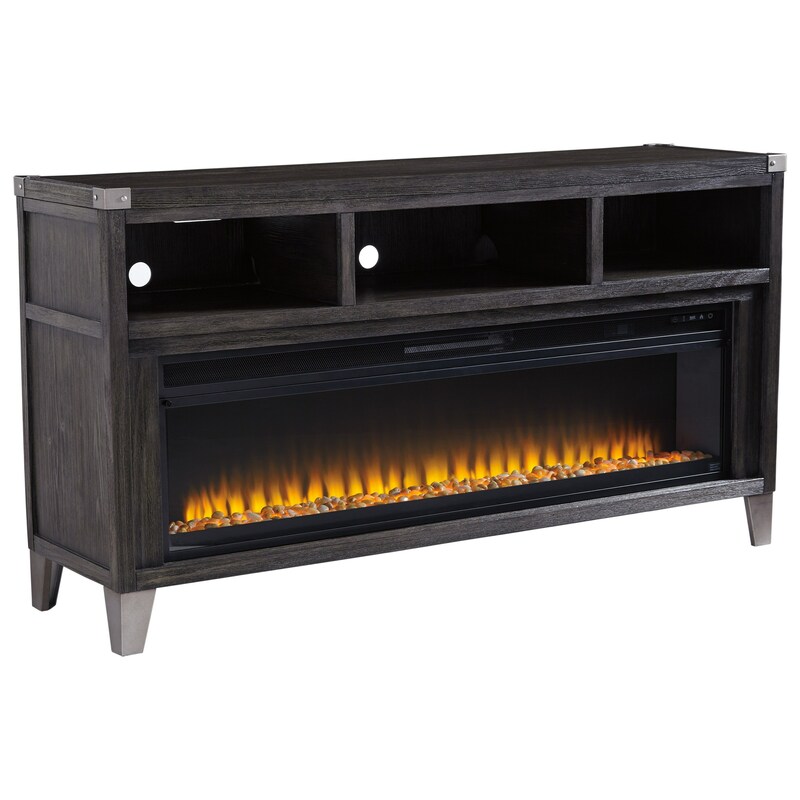 Enjoy the contemporary fireplace insert, conveniently built right into your TV stand with this set. 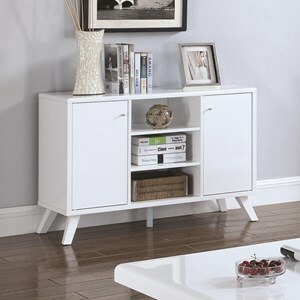 Three openings offer room for your electronics and decorative accents. The stand's dark gray wood finish complements the zinc-tone corner accents with rivets and metal feet. 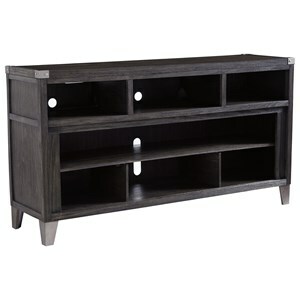 The TV stand accommodates TV up to 70 inches in size. The wide electric fireplace insert adds dramatic contemporary style. It features a remote control, four levels of flame brightness and a removable front frame assembly for placing optional faux glass crystals or natural stone for the flame bed. The lighted embers can be adjusted from orange, blue, purple or auto-cycle for all three colors. Its infrared heating element has six preset thermostat settings and provides up to 5386 BTU/1500W for warming up to 1,000 sq./ft. The Todoe Contemporary Large TV Stand with Fireplace Insert & Metal Accents by Signature Design by Ashley at Value City Furniture in the New Jersey, NJ, Staten Island, Hoboken area. Product availability may vary. Contact us for the most current availability on this product.